Students should bring with them any plates, food containers or other utensils needed for between-meal snacks. The College provides toasters, microwave ovens and refrigerators in student common rooms. Residents are responsible for ensuring that all personal electrical equipment is safe and in good working order. All electrical appliances must be certified as safe by a registered electrician before being brought into the College. The College provides each student with a blanket, a duvet, a pillow. Some students may wish to bring an extra pillow, travelling rug or eiderdown. Such items should be named. The College supplies sheets and one pillowcase but no towels. Sheets and pillowcases are laundered by the College; towels and personal laundry are the responsibility of each individual resident. All clothing should be clearly named. A laundry basket and washing powder. Heaters, toasters and other cooking equipment/appliances are NOT permitted because of fire safety regulations and must not be brought for use in student rooms. Electric blankets – the College buildings are centrally heated. Irons should not be brought. Irons and ironing boards are provided. Refrigerators are not permitted in student rooms, except (with the Head of College approval) for storage of medicines. Furniture – all rooms are fully furnished. 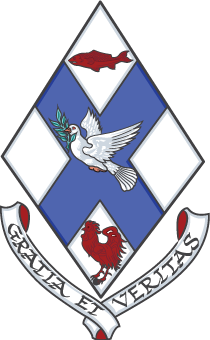 Firearms – Salmond College does not have a secure firearms storage facility, and it is not legal to store firearms in cars. Am I able to come in for a tour? Yes! Email administration@salmondcollege.ac.nz with preferred date and time and we will be happy to show you around – parents welcome. Residents are encouraged to look upon their bedrooms as their homes for the year and to therefore keep them tidy. Bikes can be stored in a locked shed. It is strongly suggested that bikes are kept locked at all times with a strong D-lock or similar and insured. Serial numbers should be noted as insurance companies and police require these in cases of theft. Bonds are used at the end of the year to pay for any deliberate or accidental damage to, or loss from, a resident’s room, floor, common room areas or College property, that cannot be attributed to a specific individual. Bonds are also used to pay for crockery and cutlery missing from the dining room, missing library books and DVDs and linen. If residents and their guests take good care of the College and its property, most, or all, of the bond money should be able to be refunded. Resident car parking is available free of charge in the car park by the tennis court. Because the car park is accessible to the public it is recommended that valuables are not left in cars. Overnight visitors should also park here. Any student owning or in possession of a motorbike or car must, on arrival at the College, complete a Parking Permit Form available from the Office. They will then get a Permit Sticker to be placed in their back windscreen. Any resident parked in staff or visitor car parks may be towed or clamped. Rooms are cleaned once a week on days posted on each floor. Residents may borrow a vacuum cleaner from the store room on the ground floor if they wish to clean at other times. This must be returned immediately after use so that other residents are able to use it if they wish. The College has a written complaints procedure for dealing with problems which you feel have not been adequately dealt with. The College also has an Harassment Policy which is displayed on noticeboards throughout the College. The Board of Knox College & Salmond College Incorporated may at any time require a student to leave the College should circumstances warrant this as being necessary. This should be reported promptly. No charge is made for normal wear and tear, however any deliberate or avoidable damage will be charged to the person/people causing it. All appliances brought into the College (e.g. computers, stereos, desk lamps) must have their cables checked and tagged (certified as safe) by a registered electrician before arrival in the College. This is a requirement of our insurer. Visitors are welcome until 9.30pm each night, but may not drink alcohol at the College unless attending special functions such as the Ball. Guests are welcome at normal meals if the kitchen or office are informed beforehand. A charge is made for guest meals. Guests are welcome to stay overnight if prior permission has been sought and the correct paperwork completed. Extra mattresses are available but guests will need to provide their own bedding. There is a charge for overnight guests. The Head of College reserves the right to decline requests for overnight guests if that is deemed to be in the best interest of the College. Guests are not allowed in the College during ‘closed’ functions or during examination periods. Each floor has a Residential Leader [RL], who is a senior student with primary responsibility for the health and well-being of the students on that floor. In the event of illness, residents should inform their RL or the Head of College so that they can be taken care of. For non-urgent cases, residents should make their own appointments at Student Health. The University of Otago and the Otago Polytechnic both operate a medical and counselling service. For urgent cases the Head of College is able to make special appointments. All residents are required to take out their own insurance. The Board of Knox College & Salmond College Incorporated take no responsibility for loss of residents property of any kind. Most residents are able to insure their possessions under an extension of their parent’s policies. Internet: Do I have internet access in my room? All rooms have internet access via Wi-Fi and through ethernet ports in the room. Wi-Fi is also available throughout the college. An electronic swipe card is issued to each resident. This enables them to access their bedroom and all appropriate areas of the College. Residents are advised to always keep their doors locked when they leave their room. There are three rooms set up as tutorial rooms and group work rooms during term time for resident use. The library may also be used as a study area – it has a small stock of non-fiction and a much larger one of fiction books for recreational reading. Empty and clearly named luggage and boxes may be stored in the luggage room on the ground floor. This room is kept locked but staff will let you in during office hours. Mail is sorted by the office staff on weekdays and the duty RL at weekends, and letters for residents are put in the pigeonholes at the end of Page Ground corridor. Parcels and registered mail are kept at the office for residents to collect – a list of residents receiving such mail is posted weekdays on the electronic noticeboard. Please make sure that the resident’s name is clearly marked on the package/envelope. Residents are asked to inform the office or the duty RL of any maintenance needed so that it can be attended to promptly. The maintenance staff work each week day but can be called out by duty RLs at weekends or evenings for emergencies such as burst pipes. Posters and pictures may be used to decorate rooms, but only blu-tac should be used to put them up. Nothing is to be fixed to the ceiling. At the end of the year the room is to be left in the condition in which it was found. A charge is made for all damaged or missing items – any accidental damage should be reported immediately. Rubbish should be put in the liner in rubbish tins in rooms. If you want this to be taken away, the liner is to be tied and left outside your doors on Mondays, Tuesdays, Thursday or Fridays. Otherwise rubbish can be taken to the skips by the bike shed. It is important that rooms are locked when you are not in them. You are responsible for insuring your possessions, and insurance companies may not pay out if rooms are unlocked. Everyone is urged to take out appropriate insurance on all belongings while resident at the College. No responsibility is taken by the College Council for loss of any kind. Security cameras are present througout the College for the protection of residents, the Head of College and staff place emphasis on the security of the College. Regular security patrols are carried out by the Residential Staff. If uninvited outsiders are seen around or in the building they should be reported to the duty RL. Salmond College is locked in the evenings at 9.30pm and unlocked at 7.00am. Residents are asked to use the front door only between those times. All residents are issued a numbered front door tag so that they can let themselves in when the building is locked. Security guards are employed each evening from 9.00pm to ensure the safety of all students. Sheet change takes place from the linen room on Page ground corridor on a weekly basis. Each resident may change their sheets and one pillowcase at this time. Salmond College and grounds are smoke free areas, both inside and outside the building. All students should have the right to be able to study in a quiet environment however after 9:30pm it is essential that the accommodation areas of the college are quiet in particular. We encourage students to use the common room facilities when relaxing. Respecting the learning needs of all students is one of the key goals of the college. There are is a free shuttle to the Uni at 7.30am and free shuttles to Foundation Studies at 8.30am. Late night shuttles from the University to Salmond College are at 6pm, 9.10pm and 11pm Monday - Friday and can be booked through our online booking system. Salmond College provides tutorials in many subjects (some in conjunction with Knox College), especially in subjects with restricted entry to second year. Tutorials are held (usually in the Salmond tutorial rooms) at no extra charge to residents. Tutorials can be organised in any paper, subject to availability of suitable tutors, and a minimum number requesting them. Residents are asked to fill in the Leave Book including a contact address. This information is required for catering arrangements and also in the event of an emergency. What criteria does Salmond use to select our residents? What should I do when I first get to Salmond? Prior to your arrival date you will be asked to fill in a questionnaire which asks for an approximate arrival time. When you arrive there will be staff members here ready to take you to your room and to show you around.